Looking to compare life insurance quotes from dozens of highly rated life insurance companies? We’ll you’ve come to the right place! Our life insurance quoter is designed to INSTANTLY provide you with up to date life insurance quotes from dozens of highly rated life insurance companies. Which will make comparing life insurance quotes SUPER FAST AND EASY! Additionally, we’ve also created a life insurance quoter that will only generate “No Medical Exam Life Insurance” quote results. This way you can compare life insurance quotes from companies that require a medical exam vs life companies that won’t require a medical exam! As with any online life insurance quote engine, you’re going to need to determine which life insurance health class you should select before you’ll be able to accurately compare life insurance quotes from different life insurance companies. Which of the 16 different health rate classes out there, ranging from Preferred plus all the way to Table Rated J, do you think you’ll qualify for? Now we’ve written an article that focuses on how one goes about determining one’s rate class. But what you’re generally going to find is that there really isn’t any “Exact Science” when it comes do determining which rate class one will qualify for. Prescription or recreational use of marijuana. History of prior or current bankruptcies. Additionally, each life insurance company will have its own internal underwriting criteria that it uses to make its own individual determination. Let’s assume that you have a pretty good idea what rate class you should qualify for, and you are now ready to begin comparing quotes from various companies…. But which company is going to be best for you? Now at this point you may want to read our article that focuses on how to obtain the Best Life Insurance quote, because, knowing which rate class you’ll qualify for is only half the battle! That’s because, in addition to knowing which rate class you’ll most likely qualify for, you’re also going to want to know which life insurance company is best for you! You see, because each insurance company has its own underwriting guidelines, it quite possible that based on your unique situation, there may be only one or two different life insurance companies that will be the best one for you! Your sister was diagnosed with cancer before the age of 40. Or you father had a heart attack before the age of 65. Or 14 months ago you declared bankruptcy. Or you’re actually 2 lbs. over what some insurance companies consider a “Preferred Plus” height and weight ratio. Or any one of a 1000 other reasons! This is why it’s so hard to simply compare life insurance quotes from an online quoter without help from an expert. Let’s look at another example. In this example we have someone who is looking to compare life insurance quotes from companies that will approve him with pre-existing case of diabetes. Now, in addition to having to look at all other factors that go into determining which insurance company is going to offer the best quote, we also need to focus on which companies are going to be the most lenient when it comes to underwriting diabetic life insurance. Allow folks with well controlled diabetes to be eligible for some of the better rate classes out there such as Standard and Standard Plus vs companies that will never consider a diabetic better than a Table Rating, High Risk. Will still insure folks who use “injectable” medications. Will consider those with rather high A1C levels. As you can see, when it comes time to compare life insurance quotes, seeing prices is a good start, but it’s only half the battle, at best. Just comparing the life insurance price and nothing more is similar to trying to determine the size of an iceberg by just looking at the top! You see a great price but that’s just part of the story! So what’s the best way to compare life insurance quotes? Do it the TermLife2Go way! We understand that the best way to “Sell” life insurance is to make the process as easy as possible. Looking to protect a mortgage? Protect a spouse and children? Second, we need to determine which health rate class you’ll have the best chance of qualifying for. From there we’ll typically suggest one of two different life insurance companies that we feel will most likely provide YOU with the best life insurance quote. With TermLife2Go, you’ll have total access to everything that we’re looking at, which means that you’ll see the prices that we’re looking at and be able to see what we’re seeing. In addition, you’ll also be made aware of how the process of applying works so you’ll never feel like you’ve been left in the “dark” wondering what is happening. 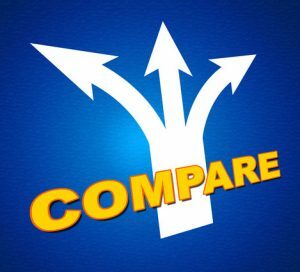 While we hope that having access to dozens of different insurance companies quotes has helped you begin the process of comparing life insurance quotes, we also hope that we’ve a shed light on just how difficult it can be to compare without knowing all of the processes that will ultimately come into play! We hope not, but even if we have, just give us a call and we’ll sort it all out! We take pride in helping our client become well informed consumers, and thus insuring them a much better opportunity to get the best life insurance policy out there- tailored specifically to your unique need, health and lifestyle! Thank you for reading our article, Compare Life Insurance Quotes. Please leave any questions or comments below. Next Post: ALS and Life Insurance: 1 Terrific Option for Some!